When we decided to head around Australia, we aimed to do a shakedown trip not too far from home for a few months, to test everything out before taking off on the big lap. Deciding on the Darling River Run, we thought it would be a great introduction to our touring. 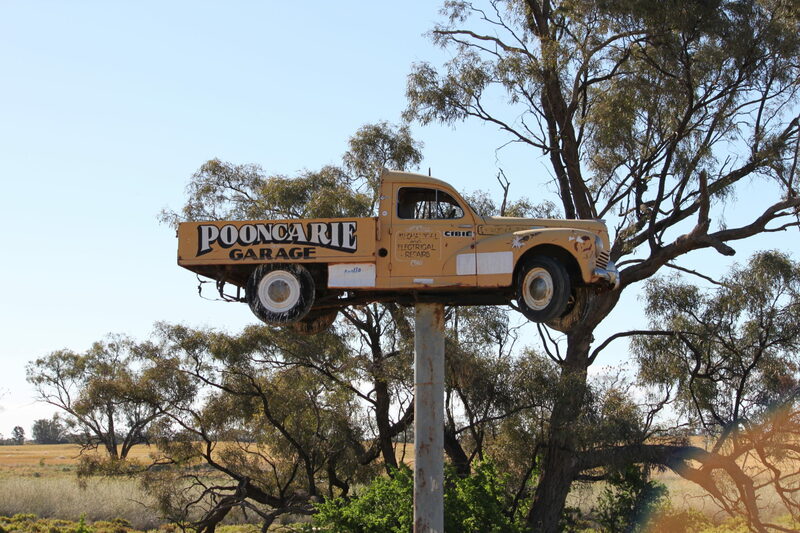 Pooncarie is a small town of around 80 people which is based right on the Darling. In the late 1800’s until the mid 1920’s, Pooncarie’s wharf was used by all the paddle steamers coming from up north to take the local farmers’ supply of wool further south to the markets. All of this was short lived when other forms of transportation took over from the late 1920’s, so this all, but killed the paddle steamer industry there. We ended up camping a few nights here and can highly recommend the local pub! We also got a chance to put the boat in for the first time, and the boat loader and trolley Grant had made all worked really well. We had a great time heading up the river several kilometres – the gum trees here were massive and full of birds. Just seeing the landscape from a different perspective and taking in the general scenery along the river was a great experience and very relaxing. Using Pooncarie as a base, we drove to Lake Mungo National Park during one day of our stay. The national park covers most of an ancient dry lake bed on the plains of south western NSW. Records of Aboriginal life at the park go back around 40,000 years, and the scenery from its famous “Walls of China” allow you to stand on magical coloured sand dunes and overlook the lake floor which dried up some 18,000 years ago. One place we were looking forward to visiting on this section of our trip was Kinchega National Park. 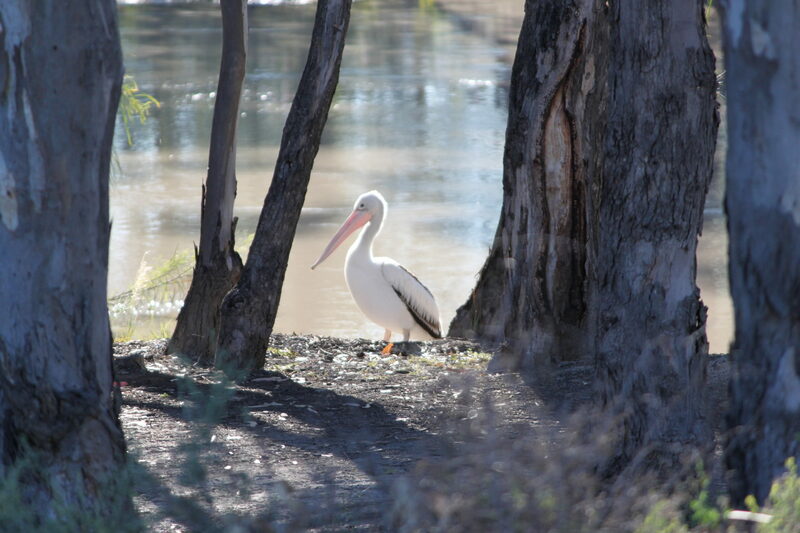 The park incorporates a few of the lakes around Menindee, as well as an extremely large old woolshed which was used from the 1800’s until the mid 1960’s. After a short stay at the woolshed, we continued and spent a few nights camping at Bindara Station which was established in 1849. We were greeted with a fantastic old property which included a beautiful homestead, and we camped right next to the river. The weather here was hot on both days (almost 40º), and the flies and mosquitoes were quite friendly. The scenery was sensational once we got the boat in – it was a haven for bird lovers and we had the river all to ourselves whilst staying there. We ended up swimming in the river a couple of times which was magnificent. Our next stop was Menindee. The dirt road was in pretty good condition so it was just a matter of dropping our speed a bit. 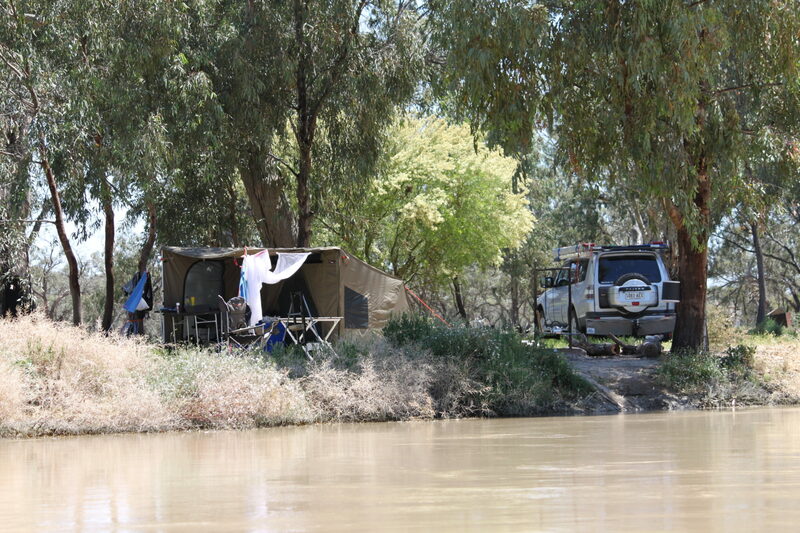 We had planned to stay at the Burke & Wills campsite by the weir, but it was packed with other campers and really dusty. But the dust didn’t last long when it bucketed down that night, so you can imagine the mass exodus the next morning as the place began to turn into sloshy mud. We moved on to a park about 8kms north of Menindee at Copi Hollow and booked in for a few nights. This was a top place to stay! Our campsite had lake frontage, lush green grass, and the sunset here was a cracker. Unfortunately, about three days later the weather really turned. A huge thunderstorm with a few inches of rain ended up closing many of the tracks which meant we couldn’t complete the Darling River Run on this occasion. 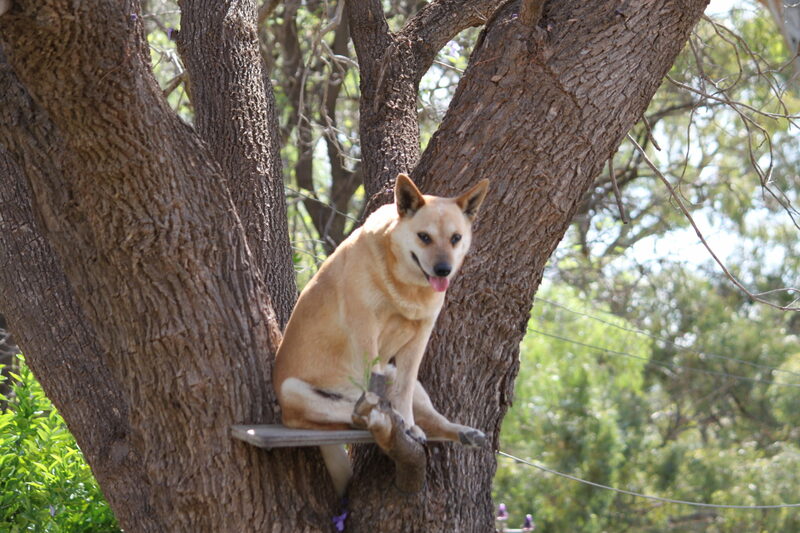 Ok, time for Plan B – this meant a detour to Broken Hill and then we’d reassess where to next.